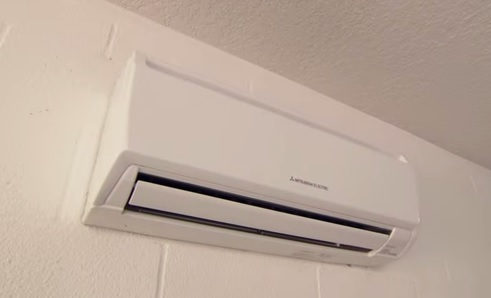 Mini Split air conditioning systems are one of the best ways to heat and cool a home. They cost much less than traditional home HVAC systems and cost much less to operate in electrical cost. Mini splits do have their limitations since they don’t push air through ducts they really only cool and heat the room they are in and don’t push on past walls. This makes the ideal for small business such as hotels, garages, home add-on, or any area operating in an open space. 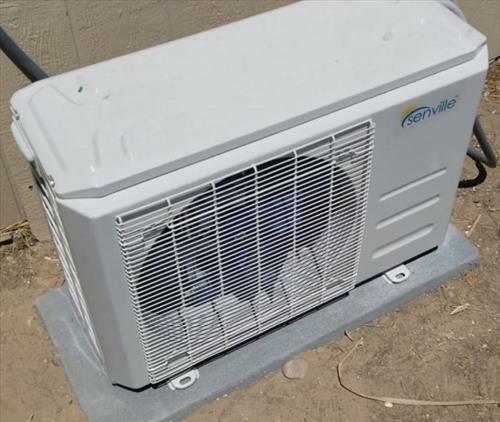 Home owners can take advantage of a mini splits cheap cost to operate while cooling one section of a home when the rest isn’t used much. 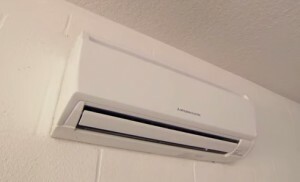 I am one of those home owners that loves mini splits cooling systems and have three installed at strategic locations in a three bedroom home. Even though there is a traditional HVAC unit on my home it is much cheaper to cool the room I am in at the time instead of the entire house. What works for me will not work for everyone so it is simply an example of how versatile a mini split is and how it can be used to your advantage to save money long term. There are many units available in all sizes and price ranges, below are simply the best options I have found and my own personal opinion. After installing many mini split units, below are the best DIY kits I have setup and have been using. I also wrote post and made videos of installing the units to show the steps involved. Be sure to read the reviews on Amazon, forums, or elsewhere to be sure a unit is a good fit for you. 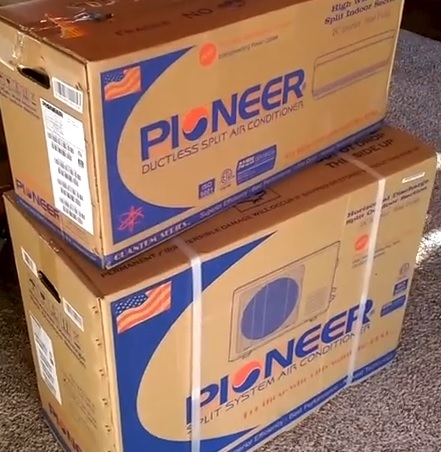 Pioneer makes several units from 9000 BTU to 36000 BTU along with both 120 volt and 220 volt systems. They have become very popular since they send a whole kit which is perfect for Home DIYers. A pad to set the unit on and electrical to the pole is not included and will need to be bought separately. Installing a unit is not hard but does require some skill so be sure to call a professional if needed. I installed a 12000 BTU unit and it has been working very well. I installed it for a friend in a home addition that had no A/C and made a video along with a post of how I install a Pioneer mini split here. Most standard home units are measured in TON instead of BTU with a 12000 BTU unit equal roughly to a 1 Ton unit. For example a 1-Ton air conditioner is rated at 12,000 BTU per hour. A 2-Ton unit would be rated at 24,000 BTU per hour. Homes usually have a 2-5 Ton unit on the roof depending how many square feet the house is. So far this unit has worked very well along with the ability to install it without the need for a HVAC company. Senville is another popular brand that has an entire mini split kit that comes with everything needed to install the system, except for electrical wiring. It comes in different sizes 9000 BTU, 12,000 BTU, 18,000 BTU, and 24,000 BTU. I recently installed a 9000 BTU unit and made a video along with a post showing how I install a Senville unit which is here. Mini splits come pre-charged with refrigerant that is released after the line set is vacuumed out. Even though someone could be hired to install it this is also perfect for the home Do-it-Yourselfer (DIY). Tools will be needed if you do it yourself such as a vacuum pump and HVAC gauges but these can be picked up cheap compared to the cost of hiring a HVAC tech. A handy person combined with all the YouTube videos out there most likely can install a mini split in a day or two. Of course someone can be hired to install the system and this may be the best option for many people. If you do decide to install a mini split yourself the most difficult thing will possibly be the wiring. The electrical is not difficult if you have done it before, such as wiring a dryer or ceiling fan. Of course the electrical can simply be outsourced to an electrician who will wire it in quickly if needed. The MRCOOL DIY Series of Heat pump mini split units are marketed for the DIY individuals. Everything comes with the kit except the electrical including the line-set and pre charged unit. The MRCOOL mini split unit do cost more compared to Pioneer or Senville but are popular and used by many. This makes them the easiest to install with no need to worry about vacuum pumps and gauges. I recently installed a MRCOOL Mini Split on a garage which turned out very well and was much simpler compared to other kits. It used 120 volt 20 AMP breaker the same as most home outlets. Daikin is another A/C manufacture that has been around for a long time and builds many good units including mini split DIY kits. They have different sized units from 9,000 BTU – 24,000 BTU. They use a copper line-set that will need a vacuum pump and gauges to pump down. Many HVAC companies install Daikin since they are units as they are well built with a good warranty. In fact I once worked for an HVAC company that the owner would only install Daikin units. There are many good units with Daikin one of the more trusted brands. 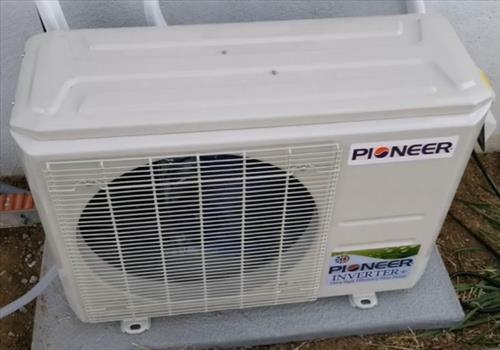 The Pioneer, Senville, Daikin ,and MRCOOL Ductless Wall Mount Mini Split are good units with different sizes and voltages depending on the need. The smallest unit is a 9,000 BTU with bigger sizes if needed. There are many more units and simple ones that I have installed and work well for me. With the variety of different package there is no doubt a size that will fit any location it is needed in. Installing a unit yourself is always an option if you have had previous experience with A/C systems and wiring. Paying someone else to install the unit is a good idea if you don’t have any experience in HVAC, wiring, or construction in general as there can be potential hazards. 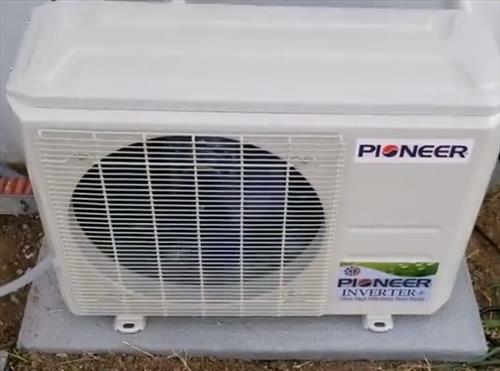 Want to buy a new version of the air conditioner like Pioneer Air Conditioner Inverter+ Ductless Wall Mount Mini Split System Air Conditioner, Thank you for a good read I found this blog useful. Good blog post Aaron. I’m looking at a DIY mini-split for our 40+ year old home with aged ducts and a defunct AC compressor. A couple of units would get us by for the thirty some days a year we actually need air conditioning. The local AC contractors are quoting from $7K to $19K for a complete central air change out. Most want to abate the old asbestos insulated ducts that still work, and replace the old updraft gas furnace that still works great. I figure I can install 3 split units to do what we need for less than half of what these contractors want for a system, and then there’s no guarantee it won’t break down or cost me a fortune to run. What is the warranty policy from both Pioneer and Senville for DIY? Some of the manufacturers won’t warranty their units if you DIY. Mr. Cool is easy to get out here but 50% more expensive than a unit that does not have pre-charged linesets. You can buy a nice robinaire 2-stage vaccum pump from amazon for about a hundred bucks, and a gauge set isn’t much more. Do I need a micron gauge? If I get stuck I can call a pro, but some seem reluctant to work on a DIY system, or want to charge a grand to show up. 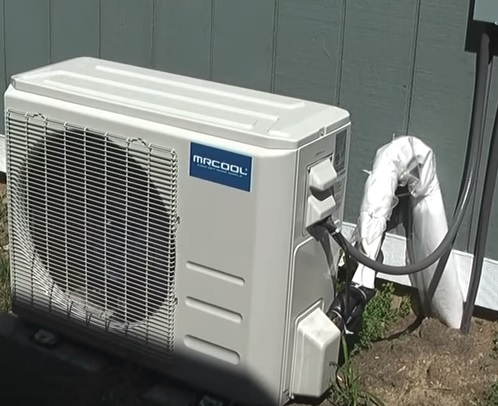 Installing a mini splits in a mobile home is a good option and what most HVAC companies will recommend. The units are currently listed as warranted. Be sure to check for how long when buying encase it changes. So far I have not had any problems so have not had to deal with any warranty and it may be best to read the comments on Amazon to see if anyone had to deal with a return. I used a cheap vacuum pump and HVAC gauges to pump the unit into a vacuum. It is easy enough to do and I doubt you will have any problems since you have built homes before. I need air conditioning added to a room and was told to get a mini split. The room is an addon and is 20 x 15 feet. What size mini split do I need to buy? A 9,000 BTU unit is rated to cool 350-400 square feet. Your room 20 x 15 is 300 square feet. After reading the reviews on the Pioneer mini split I decided on the 220 volt 12,000 unit. From what I have read 220 volts operates more efficiently than 110 volts over the long term. Any chance you can put a better photo of the HVAC wiring? More at an angle? Can”t really see conclusively which wires are connected to which terminals. Maybe a photo of the humidifier end of it too. I”ve installed my own humidifier and various thermostats, figuring out all the wiring myself. Curious to see if anything jumps out at me if I can see the connections better.